Observing any fiesta in office is a perfect concept to take a break from the everyday schedule. An office is a place where one usually spends most of his life, so its significance is self-evident. It is a place that encourages the growth of not only an individual but also the company as a whole. 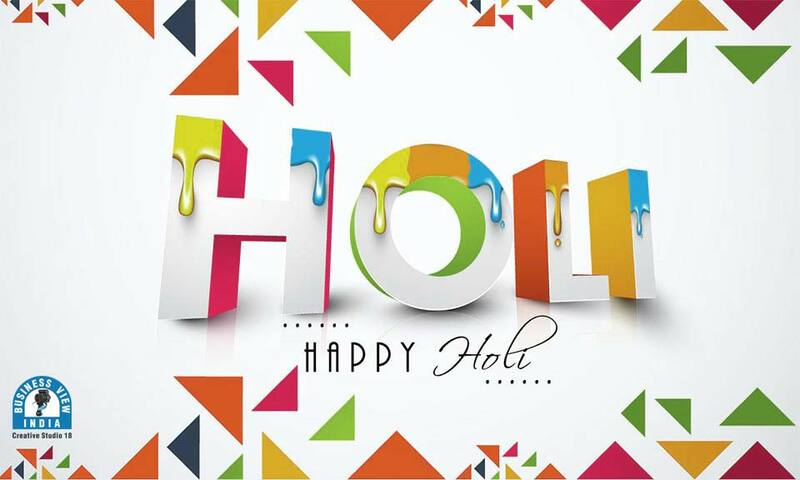 Holi is one of the major Indian festivals that are celebrated in early spring. Various colours of the festival indicate the colours of springtime and the victory of good over evil. In large parts of India, the festival is well known with colours, water balloons and water weapons. Festivals are often structured across the country where people groove to songs and welcome each other with candies that form a significant part of the festival. Many employees at the CS18 campus gathered this year to enjoy the Holi 2017. The entire fun and frolic of the energetic youth were filled in the air, as they celebrated with the songs dancing and splattering colours each other. What can be a better concept to break out of everyday office schedule and limits of our own cubicles? This year, the whole CS18 group celebrated the festival with gaiety, fervour and lots of colours. The credit goes to our HR and Team for planning the celebrations with such excellent initiatives. The whole office was designed with brilliant images and catch phrases. Coming into office created our feelings brilliant and throughout the day the colour mania was spread all over the office. In evening, we played with colours and tried to paint everyone with colours of love and togetherness. This was followed by a round of treats and cold drinks to make the fantastic end to the celebrations. This time we had an amazing experience while enjoying Holi at our office premises. It was looking too vibrant and colourful. Everyone was in the energetic mood and made colours to fly everywhere in the office. Everyone was rooting with yells of joy and passion while playing with the colours. Each and everyone experienced the moment traversing all restriction and limitations. It was really one of the relaxing experiences we people had. After a wonderful time, people created hug with each other and reverted to their work hoping the next Holi will be more awesome and amazing. The whole festival created us realise that celebrations need not be elegant or big, even little festivals or functions of togetherness can bring a smile and fresh energy within the group. And that is what the true reasons behind enjoying this festival of colours, to leave behind all problems and look forward to a new beginning. At CS18, we believe that one of the key measurements of being in a modern office is being extremely pleased with the richness and diversity of celebrations from across the world. We know sometimes we are too busy to stop and enjoy celebrations, or scared of how the task place would look at a celebration but celebrations are such an excellent, pleasant way of showing what you are and where you come from. And it does not need to be elegant, sometimes; little hits go a long way.